The Milfoil Committee is a coalition of volunteers dedicated to preventing the degradation of Shadow Lake water quality and protecting the shoreline habitat from infestations of Eurasian water milfoil and other aquatic invasive species. Eurasian water milfoil (Myriophyllum spicatum) (EWM) is a non-native aquatic invasive species (AIS) recognized as one of the leading threats to lake and pond health. 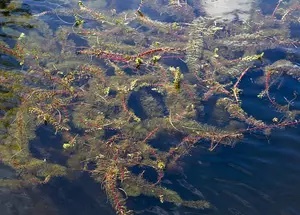 Milfoil grows in a variety of depths, sediment types and flowing conditions, reproduces rapidly and spreads prolifically, forming thick underwater mats and dense floating canopies. It clogs the water within the shoreline zone to ruin swimming, boating and other recreational activities while robbing oxygen from fish habitat, choking out beneficial native plants, and contributing to the phosphorous content of the water. The highly negative impact of this weed degrades the lake water quality and inherent beauty of the lake, reduces its economic resources, and lowers land values. The very aggressive nature of this plant makes it extremely difficult to eradicate. Lake managers often can only seek to control it by integrating the most effective economically feasible and environmentally sound methods available. Achieving control is expensive and takes a number of years, requiring a sustained concerted effort on the part of the local government and lake group. Our purpose is solely to protect the health of Shadow Lake. We seek to contain and control the spread of milfoil by implementing best management practices with the intent of achieving complete control. In full compliance with Vermont state regulatory requirements, we employ an objective management approach in evaluating how best to control each milfoil site discovered, with the least interference with lake activities. Provide updates to the Shadow Lake Association website; design and provide informational signs; procure and distribute educational materials; and circulate flyers when necessary to share information on topics related to aquatic invasive species. 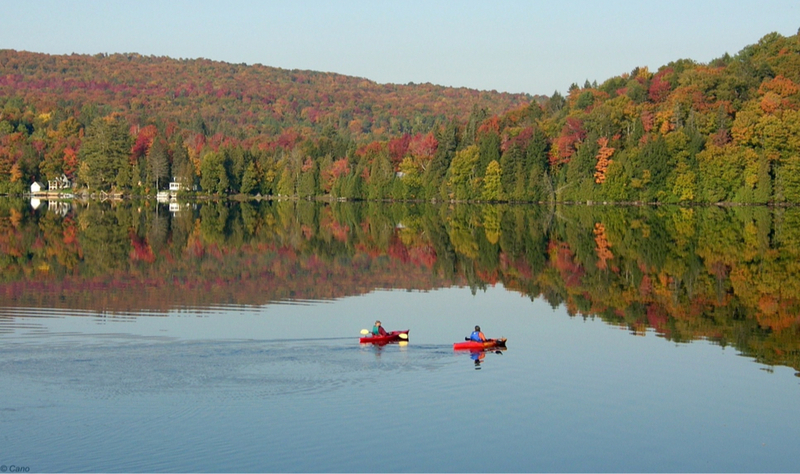 ~ In this way, the Milfoil Committee strives to preserve the natural beauty of Shadow Lake, maintain its recreational enjoyment, and enhance the property value of the adjoining land. For more information about Eurasian watermilfoil, see our Boat Wash page. Our Boat Wash Greeters attend state training workshops to learn how to identify aquatic invasive species and correctly inspect and properly wash all types of watercraft. We use a pressurized washer with 140F water to spray the entire exterior of the watercraft, trailer and equipment. Several aquatic invasive species have life stages that are microscopic, (can live in a drop of waterer several days) and can only be eliminated when exposed to high temperature water for several seconds under a pressure wash. Our Greeters supply literature and communicate important information to help educate boaters on the steps they need to take to decontaminate their watercraft and eliminate the introduction of aquatic invasive plant and animal species.